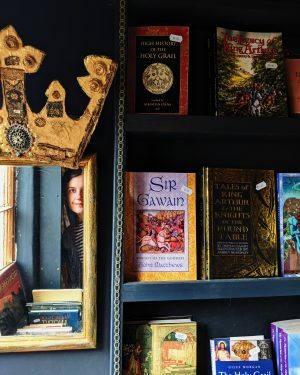 A visit to Hay-on-Wye wouldn’t be complete without a trip to our favourite bookshop in the town – Addyman Books. 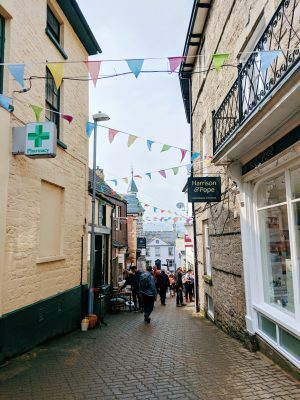 We visit every time we’re in the area and love the cosy, creative feel of the shop with it’s many themed rooms so we made sure that we had time to pop in during our time at the Hay Festival. 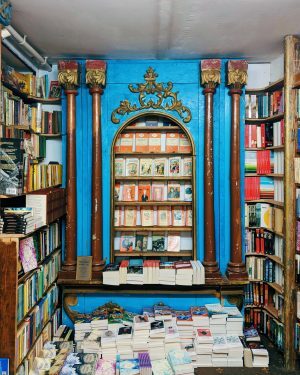 The most famous nook has to be the much-photographed vintage Penguin book shrine which is beautifully decorated with antique panelling from a Transylvanian church. 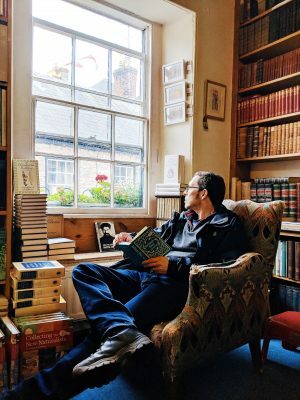 It’s crammed full of fascinating titles and one of the highlights of this wonderful bookish town. If you can tear yourself away, there’s also a children’s book room and a well-stocked science-fiction and fantasy s section on this floor – enough to keep everyone happy while you browse to your heart’s content. The adventure continues upstairs with plenty of alcoves and corridors to explore (and almost get lost in!). The shop stocks every single genre so I recommend factoring in some time to work your way around the different zones. For me, the spooky Bat Cave and Celtic corner stood out because I love all things mystical whereas Al found his ideal spot in the comfy classics room. But that’s not where it ends! Climb higher and you’ll find a true adventurer’s cabin (a model of Captain Scott’s) at the very top filled with books on exploration. I found an excellent copy of French caver Norbert Casteret’s Ten Years Under the Earth under the eaves so if you’re looking for inspirational journeys, then do venture up there. After our quest, we all came away feeling as if we’d found hidden gold. The shop sells a selection of new as well as old so we bought a good cross-section and then went to the Addyman Annexe and bought some more! On this occasion, we didn’t manage to make it to the third Addyman store, Murder and Mayhem, but it’s a must-see for crime lovers. 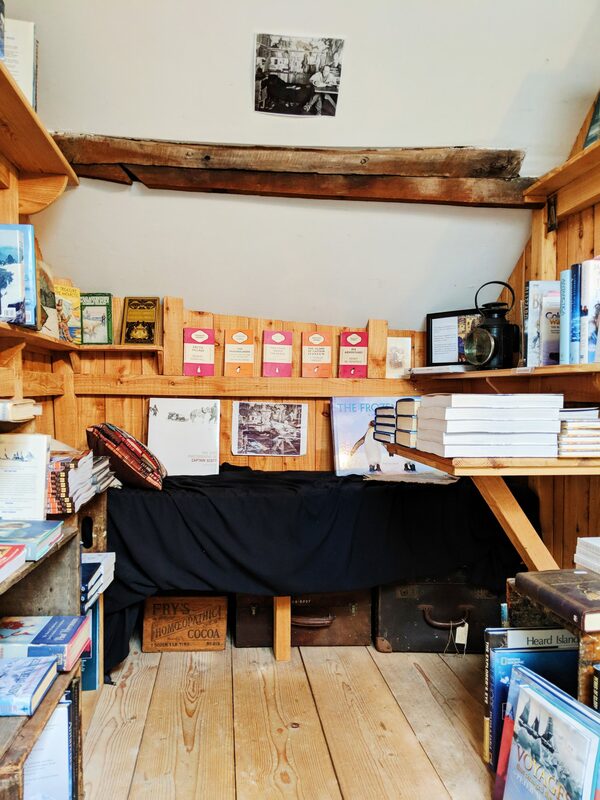 All three shops are open 10 – 5.30 every day of the week and if you are on Instagram, then I highly recommend following Anne’s account – @addymanbooks – which has to be one of the best bookshop pages in the world. You can also buy stock from them online (I have bought a few and the service is fab), and contact them via Facebook but nothing beats an afternoon in the shop. We’re already planning our next visit!